The tenth annual Foodies Festival on Hove Lawns will be raising money for the homeless. Organisers are once again teaming up with Musicians Against Homelessness (MAH) to raise vital funds to support the increasing number of people who find themselves living on the streets. 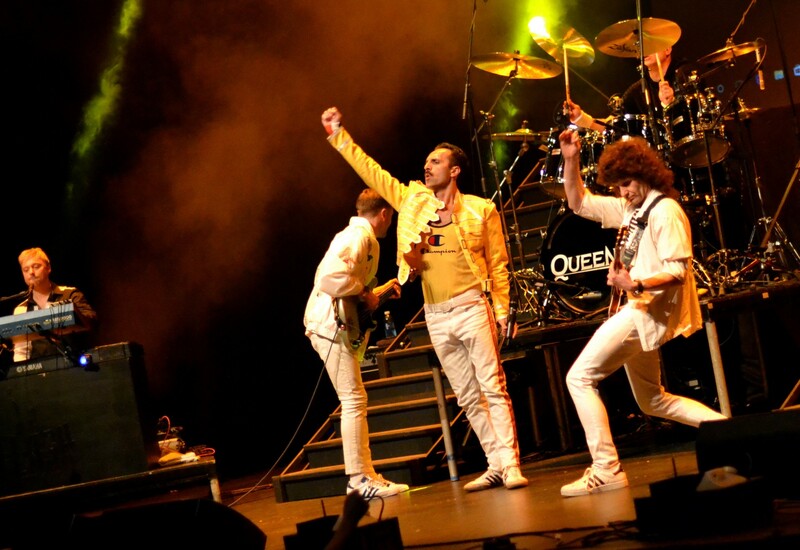 The music programme includes one of the country’s top Queen tribute bands, Flash, as well as 50 emerging bands and soloists from the Brighton area. For every ticket sold, the festival will make a donation to the cause. There will also be merchandise on sale giving a further boost to funds. MAH was founded by music PR Emma Rule and boasts music guru Alan McGee, who famously signed Oasis. The project provides opportunities for up-coming talent while raising funds for UK homelessness charity Crisis. Emma said: “Recent reports state that Brighton has the second largest homeless population in England, with figures expected to rise nationally. Also appearing at the festival, which runs from May 4-6, are Brighton’s MasterChef 2018 champion Kenny Tutt as well as Celebrity MasterChef 2018 winner John Partridge, known for his role as Christian Clarke in EastEnders. Top chefs from the local area include Great British Menu winner Michael Bremner at 64 Degrees and Murmur, Dave Mothersill of The Coal Shed, Will Dennard of Wolfsmouth, Kanthi Thamma at The Spice Circuit and Johnny Stanford of the new No 1 Broad Street restaurant. All will appear in the Chef’s Theatre which also includes Great British Bake-Off stars. New names are being added to the programme daily. Former Brighton bank manager Kenny said: “I had a great time travelling up and down the country to get on stage at the brilliant Foodies Festivals last year, so it goes without saying, that I’m excited to be back this May on my home turf of Brighton! Brighton Foodies promises a feast of fun for all the family with more than 200 exhibitors and award-winning artisan producers, a Street Food Village, Vintage Cider Tent, the new Cakes and Desserts Theatre, a Kids Cookery School, Healthy Living Area, Chef’s Theatre and Food and Drink masterclasses. And Brighton Council is keen to welcome the event back to the city. Councillor Alan Robins, Chair of the Tourism, Development and Culture Committee, said: “I’m delighted that the Foodies Festival is returning to the city for the 10th year. “It’s always a popular event taking place over the Bank Holiday weekend and attracts around 25,000 people, including local residents as well as visitors.